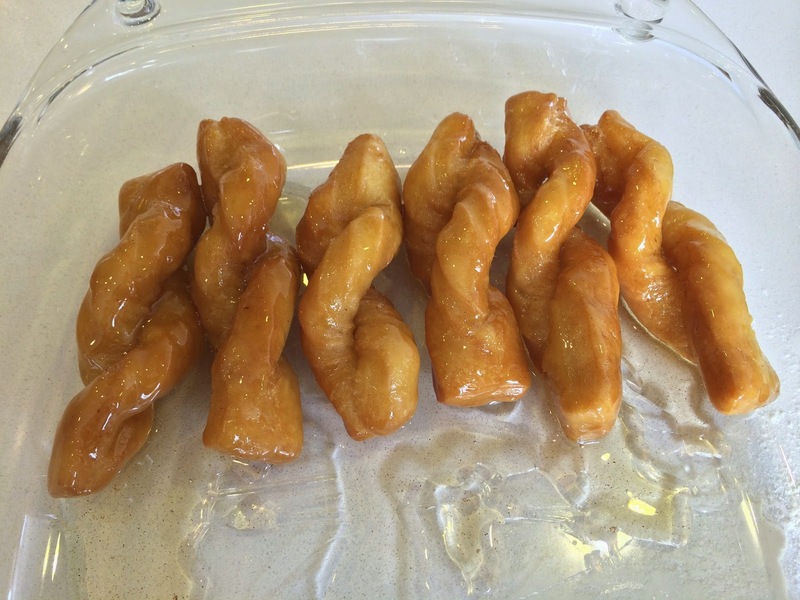 Koeksisters are a very popular South African treat. 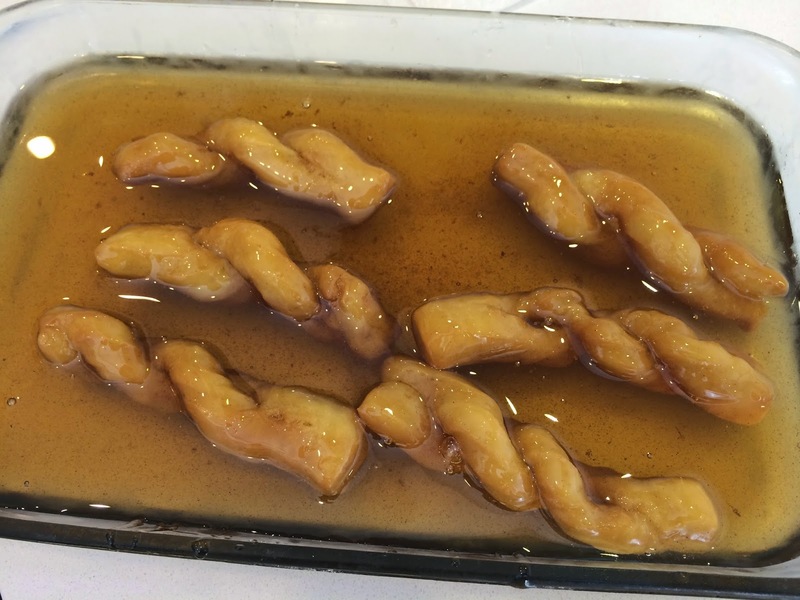 They are deep-fried doughnut-like pastries that are coated in a sweet, lightly spiced syrup. I haven't make them terribly often since I've been living in the UK, but every time I do they are polished of in no time at all. My friends love them! The first thing you need to do is make the syrup. 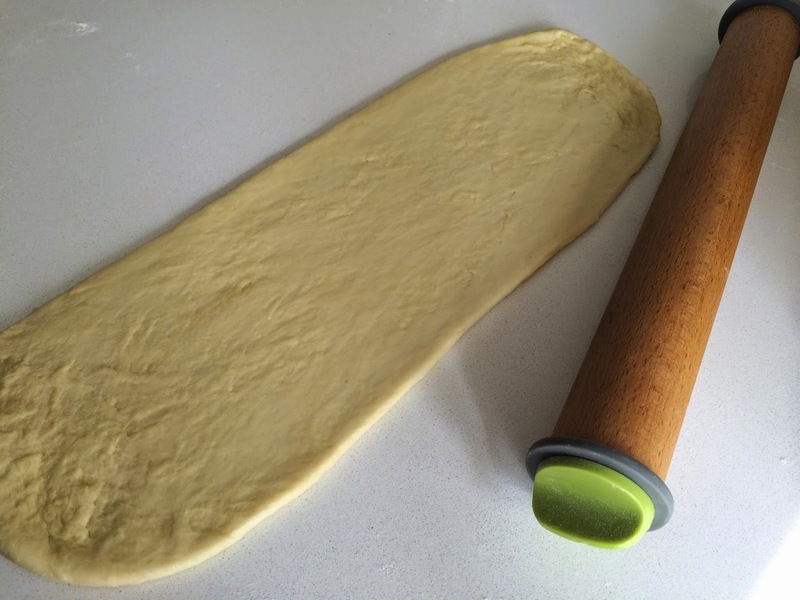 Now I can't stress this enough - you need to make it the day before you make the koeksisters, and let it get really cold in the fridge over night. I tried making it the same day once (put it in the freezer to try and speed up the cooling process), and lets just say, it wasn't good. If the syrup isn't really, really cold when you dip the koeksisters in, it crystalises and ruins the koeksisters completely. Pour water into a large saucepan. Add sugar, pouring it into the centre of the water, then encouraging it to settle under the water. Add the cream of tartar, cinnamon and ginger. Do not stir. Bring the mixture slowly up to boil on a medium heat and simmer for about 10 minutes until it becomes syrupy. Remove from heat and leave to cool. Once cooled to around room temperature, cover and place in fridge to chill over night. Mix dry ingredients in a mixing bowl. Rub butter into the dry ingredients until mixture resembles crumbs. 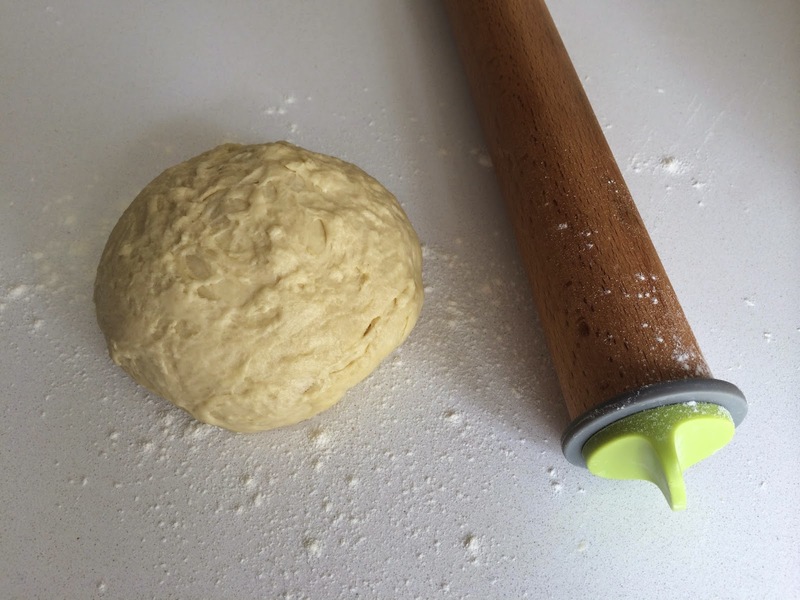 Add egg and milk and mix in well until a dough forms. 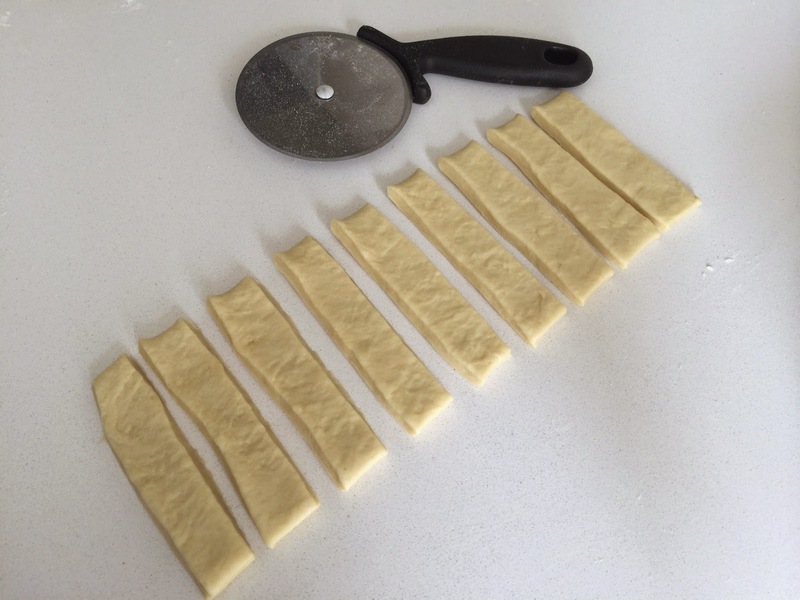 Cut the dough into 4" x 1" strips. For each strip: Cut up the centre, leaving about 1/2" uncut. Twist each 'leg' made twice to the right. 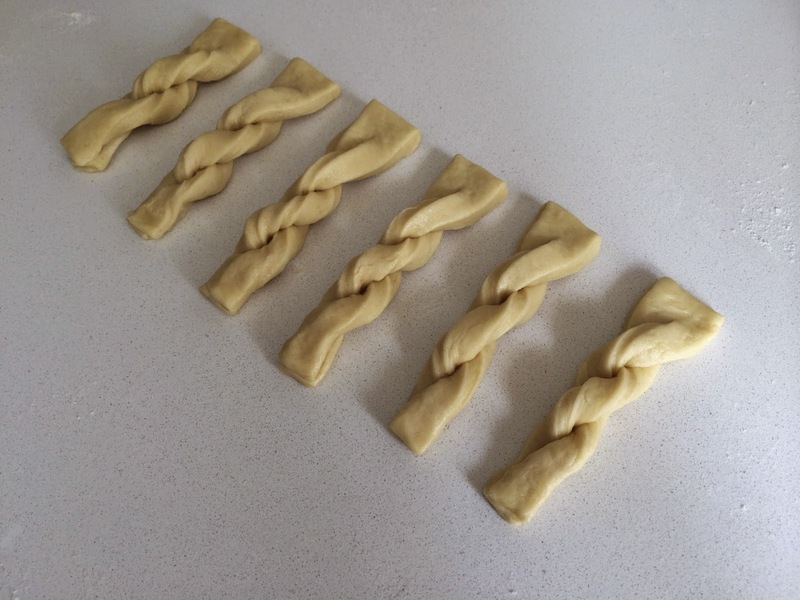 Now twist the two legs (preserving the twist in them) twice around each other to the left. Brush a tiny bit of water on the end of the left leg then stick the right leg to it, sealing them together. 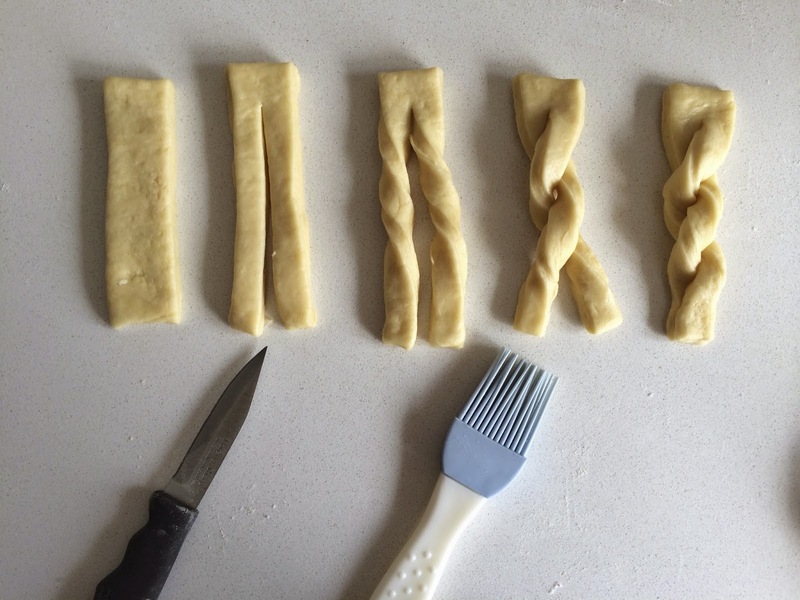 Once all of the dough has been cut and twisted, rest them in the fridge while you get ready for the next step. 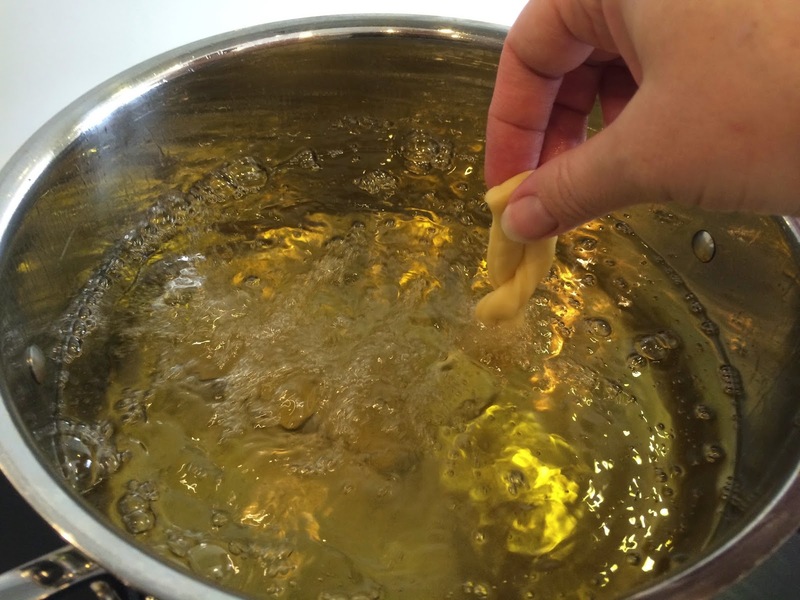 Bring a large pot of oil (or a deep fat fryer) up to about 180°C. Split the syrup, that you've had in the fridge over night, into two dishes, one for dipping in while the other stays cold in the fridge. You will swap these dishes between each batch of frying to ensure the syrup stays cold. Set up your work space so that you have kitchen towel to drain the koeksisters after they have been fried, one of the dishes of cold syrup and a clean dish to put finished koeksisters into. 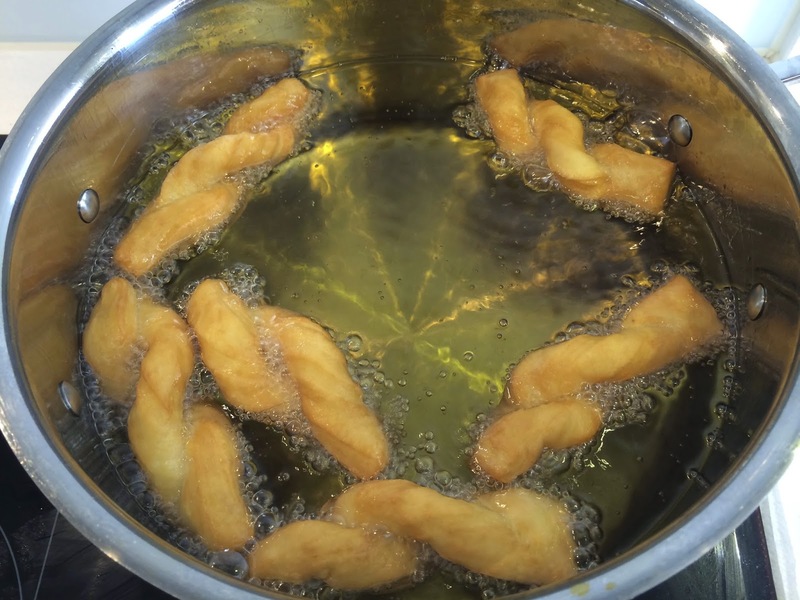 Now begin frying the twisted dough by gently dropping them into the hot oil. 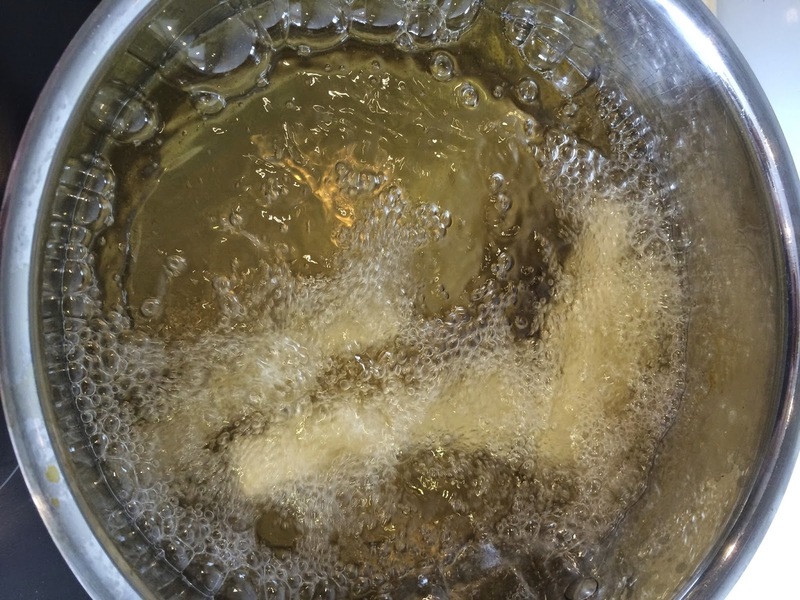 You can fry a few at a time, just make sure there is enough space in the pot for them all to float flat on the top of the oil. 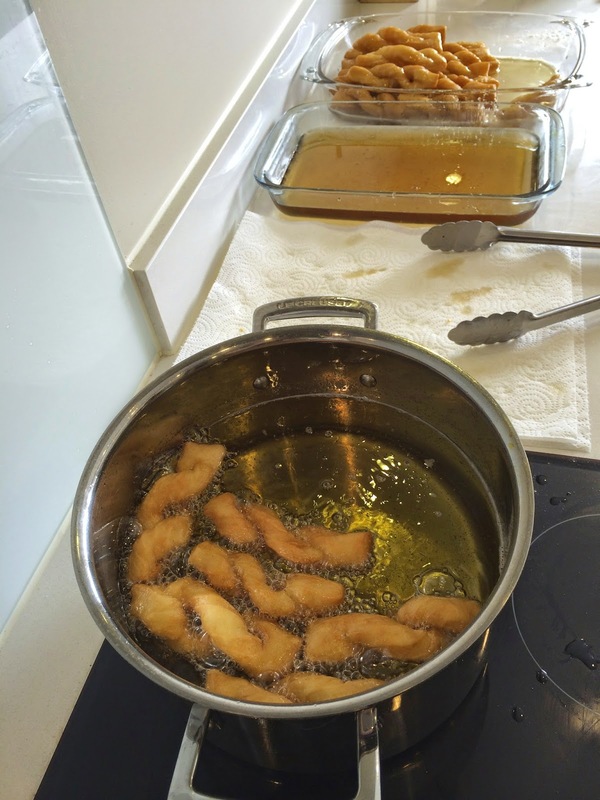 Turn them over in the oil every few minutes until they are a rich golden brown colour. 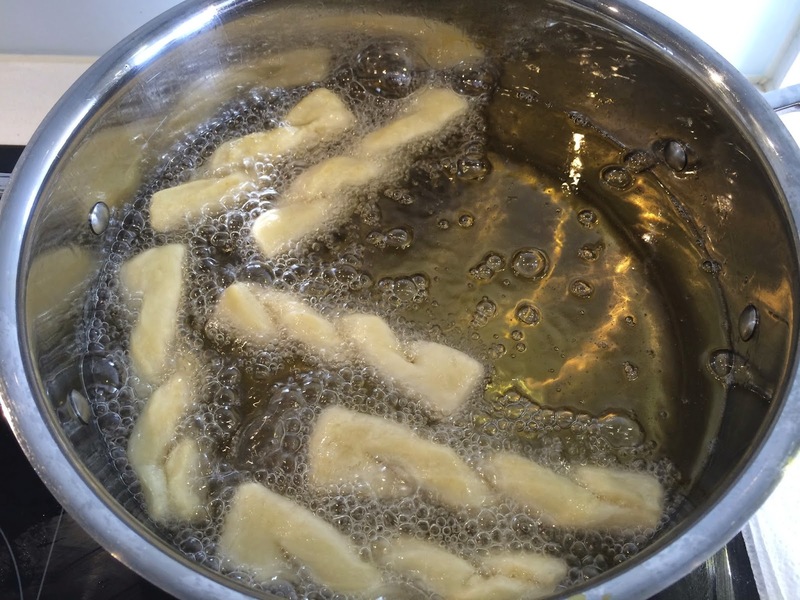 Remove them from the oil and place them to drain very quickly on some kitchen roll. Then get them into the cold syrup while they are still piping hot. Turn them a few times to get well coated and let them soak for a few minutes. Remove them from the syrup. 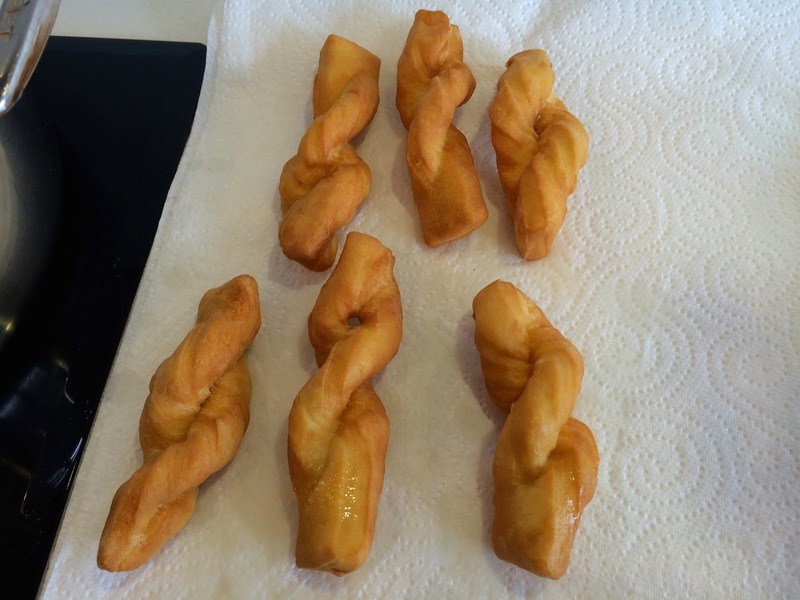 Thank you so much Vaughan, I hope you have fun making your own koeksisters! !